How to Import Songs from iOS 12 to iTunes? 5 Best Methods! Importing songs from your computer to iTunes is an easy process. It allows you to add music to your iDevice within few clicks so that you can enjoy it on the go. There are several methods for you to know how to import songs to iTunes for both Mac and Windows. 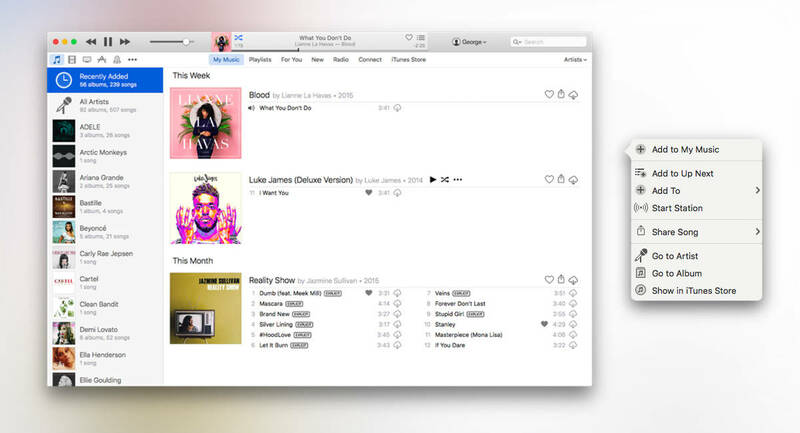 Read below to learn how to import songs to iTunes on Mac as well as Windows. There is another easy way to import your favorite iPhone songs to your iTunes library, one that does not require you to launch iTunes. It is a software called iMyFone TunesMate. It is a premier iPhone file transfer tool that allows you to transfer many types of media files to your iTunes library so you can enjoy them on your iDevice. Compatible with both MacOS and Windows platforms, TunesMate offers tons of additional features, so you can use it as your primary iPhone file transfer tool and avoid using iTunes altogether. Import music to iTunes library as well as computer within a few clicks. No need to launch iTunes in order to import iPhone songs to your iTunes library. Copy all media files from your iPhone to iTunes and rebuild your entire iTunes library if it’s corrupted or damaged. 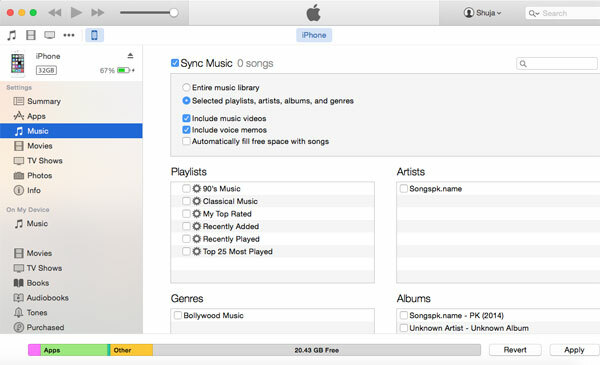 With TunesMate, you can transfer non-purchased songs to iTunes as well. Apart from adding music from your own Apple ID, TunesMate also allows you to import songs to your iTunes library from other Apple IDs. Step 1: Connect your iPhone to your Windows PC or Mac with a compatible lightning cable. Step 2: Launch TunesMate. Your connected iPhone will be automatically detected by the software. Step 3: Now select Transfer iDevice Media to iTunes option on TunesMate. Click the Start button on the next window. Step 4: After scanning, TunesMate will ask you to choose the media types you wish to transfer to your computer. Select Music from the provided list of options and click Start. The transfer process will begin. You can easily import songs from your Mac to iTunes. The process is similar to importing any other media file to iTunes library. 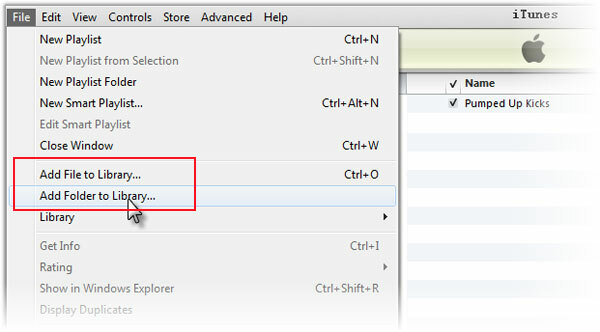 Step 2: Navigate to the music file or folder you wish to import and then drag it to the iTunes window. Adding a folder will import all the files it contains to your iTunes library. Step 3: Alternatively, you can use the File > Add to Library option and then navigate to and select the desired folder from your Mac as well to import songs. 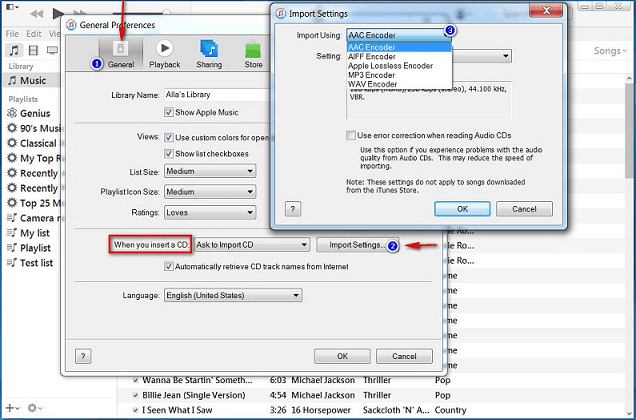 Similar to importing files from Mac to iTunes, you can import songs to iTunes library quite easily from your Windows PC. The steps required to successfully import the songs are roughly the same. Step 1: Launch iTunes on your Windows PC. Step 2: Use Windows Explorer to navigate to the music file or the folder that contains songs that you wish to import and drag it to the iTunes window. Adding a folder will import all the files it contains to your iTunes library. Step 3: Alternatively, you can also import songs by using the iTunes software itself. Simply use File > Add to Library option of iTunes and then navigate to your music file or folder, select it and then click Open to import it to your iTunes library. You can add CD music to your iTunes library pretty easily and quickly, regardless of whether you are using a Windows PC or Mac. For Windows: On iTunes, select the Edit option available at the top of the interface. For Mac: Select iTunes option from the software. Step 3: After selection, navigate to Preferences > General > Import Settings and select the format of your choice. AAC Encoder is recommended due to its smaller file size and quality. Step 4: Now insert your audio CD into the CD drive on your PC or Mac. After it is detected by iTunes, click on the CD from the left hand column of iTunes. Step 5: From the given options, select Import CD button. The import process will begin. Apple Music offers access to millions of soundtracks. If you have a valid subscription, then you can easily add that music to your iTunes library. Step 1: Launch iTunes and navigate to the Apple Music song you want to add to your iTunes library. Step 2: Now click on the ellipsis icon located next to that song and choose ‘Add to my music’ option. Step 3: If you want to add the whole music album, then click on ‘+’ icon from the title bar and then select the album and add it. The album will then be imported to your iTunes library.